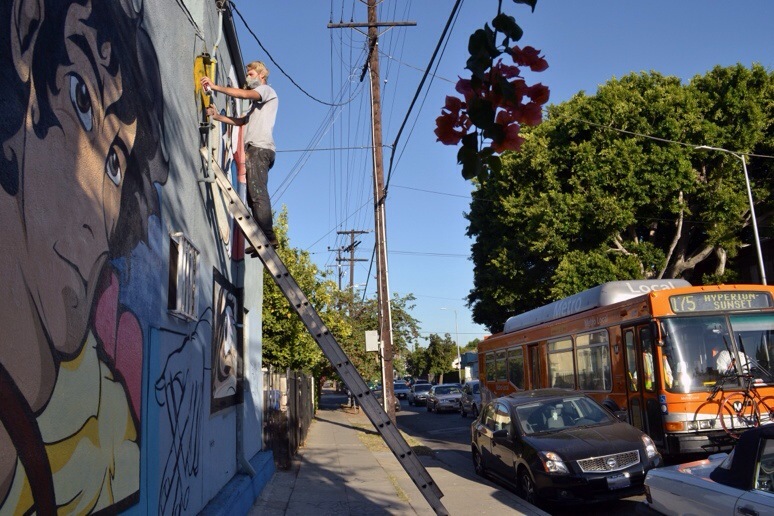 Jake Merten aka Look At Art is working on his latest mural in the East Hollywood area. 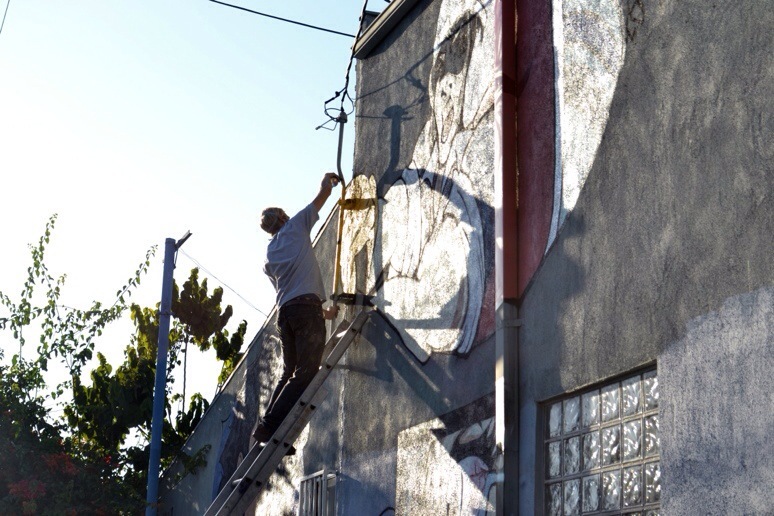 Here are some progress shots that we were able to take as he was working on it yesterday. 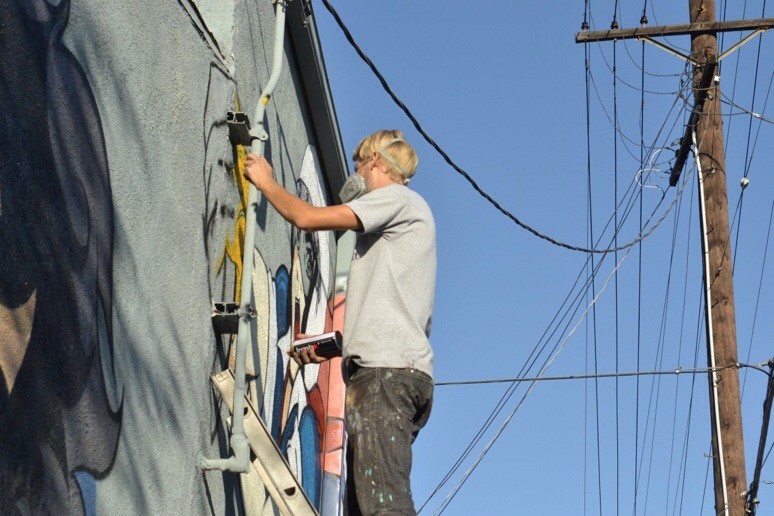 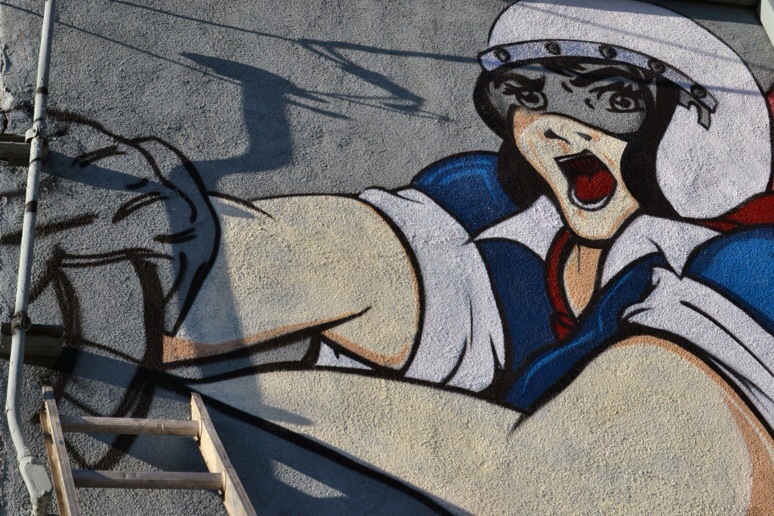 Make sure to check back for photos of the mural once it has been completed.